Barnes and Noble held an event in New York yesterday to unveil a brand new Nook named the Simple Touch Reader. Despite a lot of craze over tablets from Apple and Google, there are many buyers simply looking for a comfortable reading experience. This new model offers a 6 inch eInk display, WiFi connectivity, a two month battery life, and much more in a compact package. 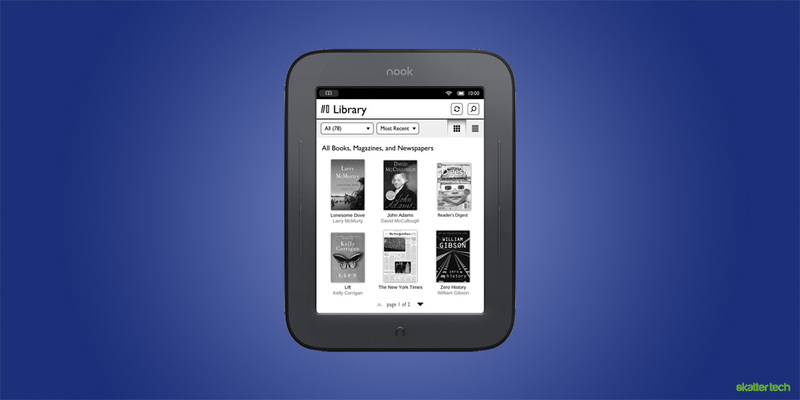 The last generation Nook featured a color touch screen at the bottom with a eInk screen above. This was not too efficient when it came to battery life and having two interfaces did not play out so well with users. The Amazon Kindle was probably a safer bet. 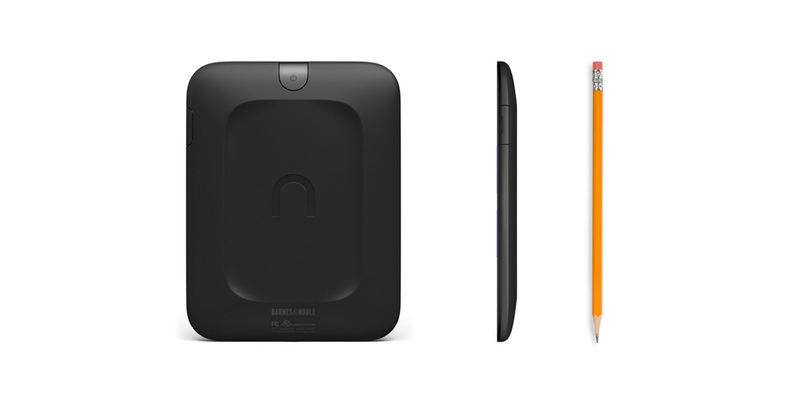 The new Nook Simple Touch Reader sports a new touch-enabled eInk screen for a better experience. The versatile display technology makes it possible to shop for new books and read purchased items easily. There is 2 GB of internal storage which can hold approximately 1,000 books, but microSD expansion for up to 32 GB cards makes storing a lot more possible. While the Nook lacks 3G mobile broadband, users can get online over WiFi connections in B&N stores and AT&T hotspot locations when away from home. Those who want to continue reading on other devices can grab the Nook app for Android, BlackBerry, or iOS devices. Programs are also available for PC and Mac users. I should note that there is one catch when it comes to battery life. Barnes & Noble rates the two months for when WiFi is off. Leaving it on drops life span on a single charge to just 3 weeks, which is not too bad either. The Nook Bookstore provides access to magazines and newspapers with automatic daily deliver to complement its selection of over two million books. Nook owners can also borrow and lend books with friends for up to two weeks to avoid having to buy a copy. Those looking to buy one can pre-order for $139 anytime and orders will begin shipping on June 10th. We will try to get our hands on a unit for an in-depth review so stay tuned. Yikes, didn’t know WiFi turned on decreases the battery life by over 50%. Does the new touch screen nook have the same ability as its predacessor to be able to change the battery? Can the new nook lisen to music like the kindle or nook color. And the real deal breaker for me is can it sirf the web? I love to read, and it is hard on your eyes to use the nook color when you use it. Trust me i know. But i do a lot of reseach on the nook, i even use the wifi to pay my bills online when i need to. I am really looking forward to the new nook but i need to know what i am lossing. It looks like the new one lacks support for books with audio and video. It says no support for a browser with Adobe Flash content or MP4 video. Even features such as Pandora or the email client are now gone. Thank you that is exactly what i was looking for. After i left my comment i did some more digging and found out that it also has no web browser only a shop funtion. I like the idea of a touch eink screen but i am simply not willing to give up my browser. Thatks for the help.